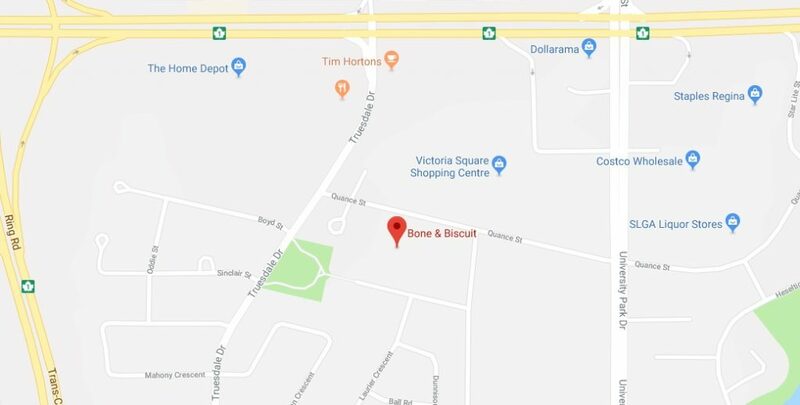 This week we introduce a Bone & Biscuit location in Regina, Saskatchewan to share their experience and local insight! 1. When did this location open? We did a soft opening on September 15, 2017 and had our Grand Opening on December 9, 2017 after we had everything running the way we wanted it. We met so many new pets and their people plus the first 50 customers got a special gift bag with treats, food samples and small toys. We’re in a fabulous location on Quance Street behind the Victoria Square Mall. Our neighbours in the mall are dedicated to healthy choices and include Evolution Fitness, Orange Theory Fitness, Stacks Supplements and Chop Leaf. The actual address is 2101 Quance St #300, Regina, SK S4V 0P6. 4. What is your best-selling product/toy right now? Our customers are very appreciative of the selection of foods that we carry, whether it is raw, freeze-dried, dehydrated or kibble, so I can’t really say there is anything that stands out above the rest. Except for Earl. Earl sells like hotcakes. I can’t keep him in the store. Earl is a hot item in-store! 6. Who else has been integral to the opening of the new store? 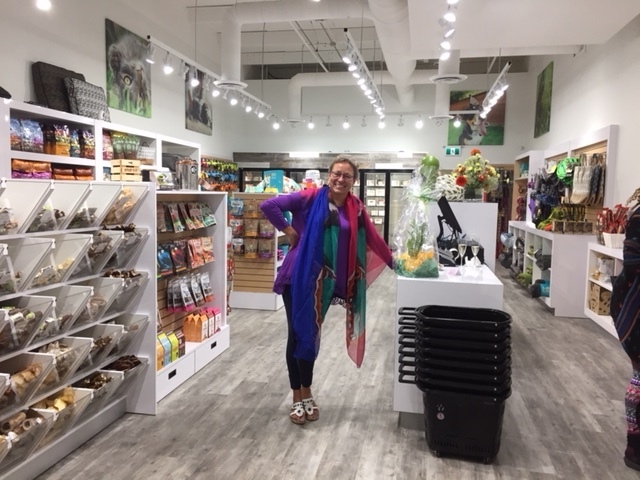 I own this store myself with no partner, however I have an exceptional manager, Stacie Riggs, who is also an accredited Pet Behaviour Therapist and has lots of knowledge about pet nutrition. 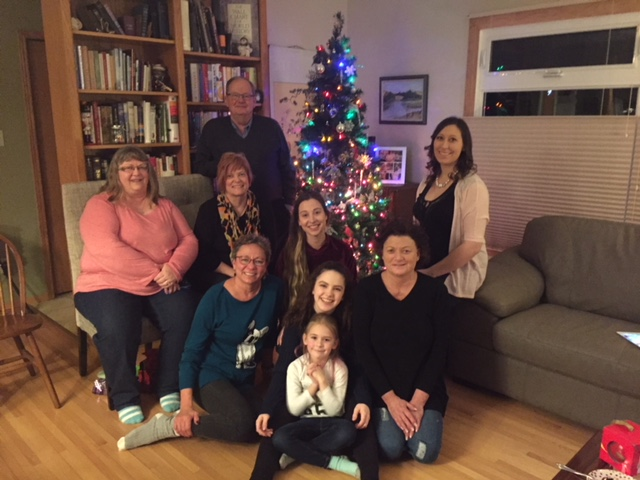 In addition, I have a few part-time people who are also exceptionally knowledgeable and just love to help customers make decisions about what is right for their pet. 7. Do you own any cats or dogs? I have three dogs and two cats, all of whom are rescues and none of whom are well behaved enough to come to work with me LOL. Sadie is 15 and is having some trouble getting around. 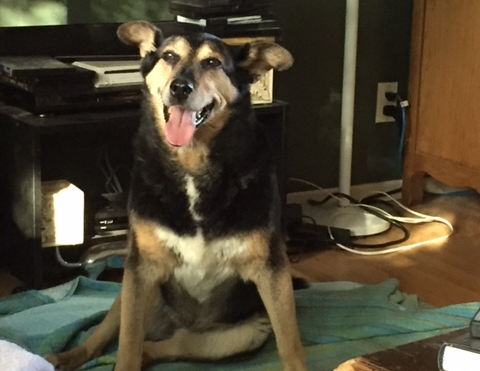 However with great nutrition combined with supplements to support her joints, she’s doing just fine. She was my parents’ dog who came to live with me when they moved into a seniors’ condo. She’s such a gentle soul and very quiet. Maggie is a Miniature American Eskimo/Pomeranian cross. She’s five. She’s exceptionally smart and a total brat. She can’t just lie down like a normal dog. And she can really leap tall fences in a single bound. Luna is almost two and makes noises like a Wookie. She’s a Husky/Bully cross, 80 lb and thinks she’s a lap dog. Her ears can pick up signals from space. Tommy is a Domestic Short Hair and he’s four. He is the only male in the house. He is an expert at grooming himself and gives demonstrations in the living room window for hours at a time. Tommy lets Luna drag him around by the head. Inanna is an eight-year-old Calico. We are working on her weight. She is the Goddess. 8. What inspired our interest in owning a Bone & Biscuit location? I retired early from the government and decided to do something totally different. The only thing I love more than shoes (I have 151 pairs) is animals. I originally wanted to open a doggie daycare but couldn’t find a location that suited me. 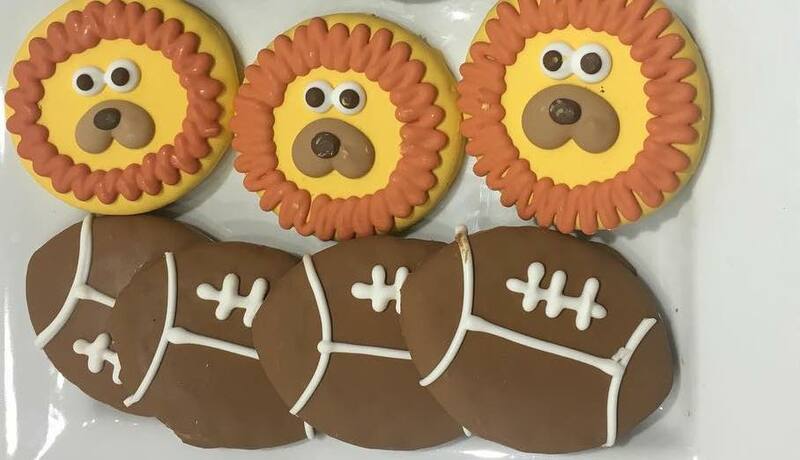 I stumbled across Bone & Biscuit while researching businesses for sale. After talking to the guys at head office and doing some research, I decided that this was exactly the right place for me to be. I have never regretted my decision and I love coming to work every day. Everyone should have this much fun at their job! 9. 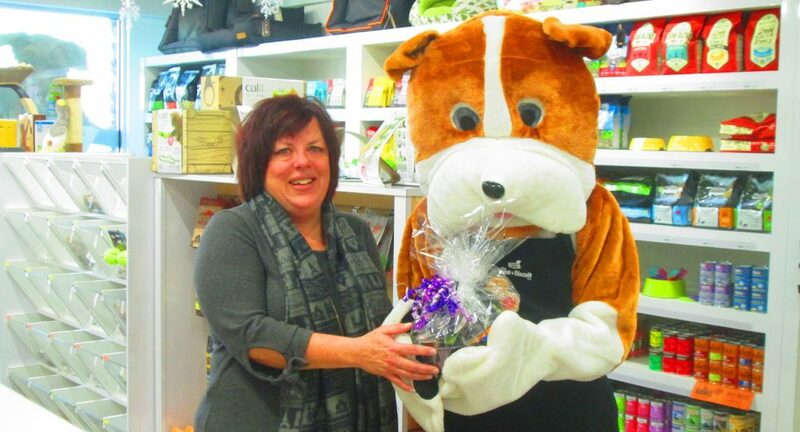 Your furbabies hit the jackpot now that you run a specialty pet supply store! What kind of toys or treats do they love? Luna is a big chewer so her antler keeps her occupied and happy. Sadie likes crunchy, light things like BarkPops or Hundurs Crunch. Tommy loves to play with anything he can bat long distances and chase. 10. What’s the best advice you could give to new pet owners? Feed them well so they’re healthy; love them lots so they’re happy. Thanks for the spotlight Laur’Lei! Are you interested in opening your own Bone & Biscuit pet store? See our franchise information page and inquire about opportunities in your area! Those 4 legged critters and their people. You and your staff and this new Bone & Biscuit is a highly beneficial addition to Regina’s pet population and their families.